Bettws Hall presented greensplash with the unique opportunity to work with one of the largest and most successful shooting and hatchery businesses in the UK, taking its creative ingenuity and technical expertise to the top of its game. Print material, press advertisements and other marketing collateral were created to work in conjunction with the new identity to generate increased brand awareness and command a premium market position. 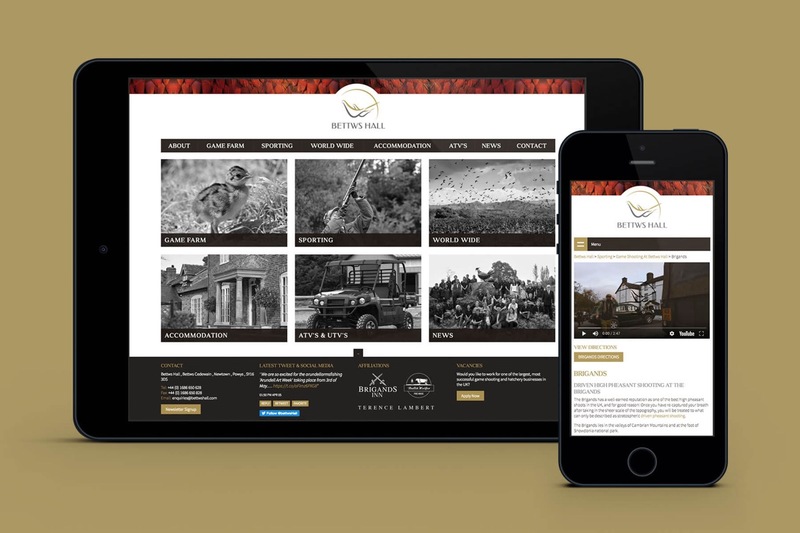 Bettws Hall looked to greensplash to create a consistent brand and theme across web-design, print materials and other marketing needs. An elegant website with optimum SEO and accompanying marketing materials to portray a luxury offering in a unique market. Following the greensplash rebrand, a new exquisite and responsive WordPress website was launched to showcase the stunning location and offerings, featuring bespoke and interactive functionality. As is commonplace at greensplash, extensive search engine optimisation (SEO) is completed monthly to build and maintain the client’s visible online presence. Additional material such as print artwork for magazine advertisements, display stands and bespoke vehicle branding for its fleet of commercial vehicles has ensured that the Bettws Hall brand achieves a wide reach. Situated in Powys, mid-Wales, Bettws Hall offers exclusive sporting estates for game shooting and hatchery. With a history that spans three decades, the business began its focus with agriculture but diversified some years back to specialise in the breeding and rearing of pheasants and partridges. Today, and with a variety of picturesque settings across Wales and the West Country of England, Bettws Hall works tirelessly to develop some of the finest driven shoots in the UK. The natural topography of the estates combined with the elements provide incredibly high birds that challenge even the most accomplished of shooting enthusiasts. Those travelling from outside the area are able to take advantage of on-site luxury accommodation in idyllic sporting lodges. Self-catering with the option of fine dining, all accommodation and amenities provide the type of comfort and luxury that matches up to any 5-star hotel. Bettws Hall approached greensplash to assist with a variety of core services that would work towards projecting its brand into a wider and more targeted market space. With a desire to evolve and grow the scope of the company, both greensplash and Bettws Hall understood that a careful approach would be required regarding the execution of all branding and marketing material. Following an extensive consultation, a thorough analysis of their current digital footprint took place to identity any underlying weaknesses in their digital assets. It was vital to outline areas that had room for improvement before any level of rebranding could take place. 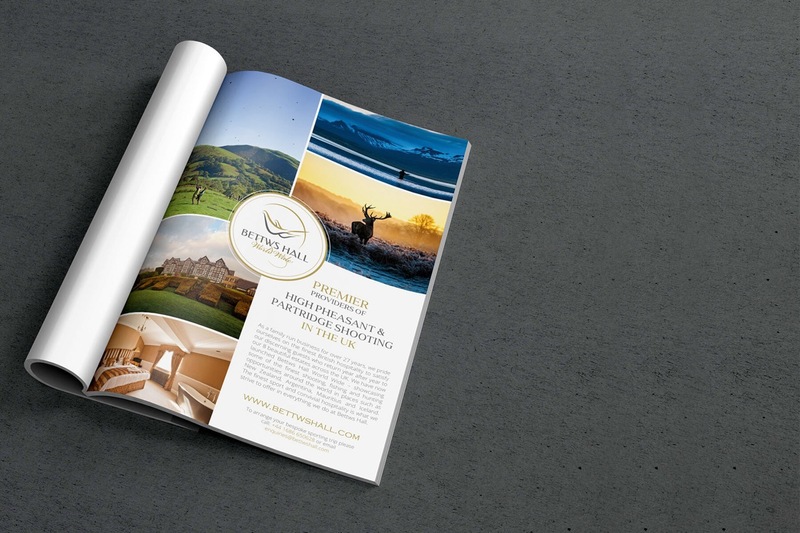 Time was spent understanding each avenue of the business and how Bettws Hall was running the operation, with the aim of greensplash lending support to each business arm of the company through digital and print deliveries. 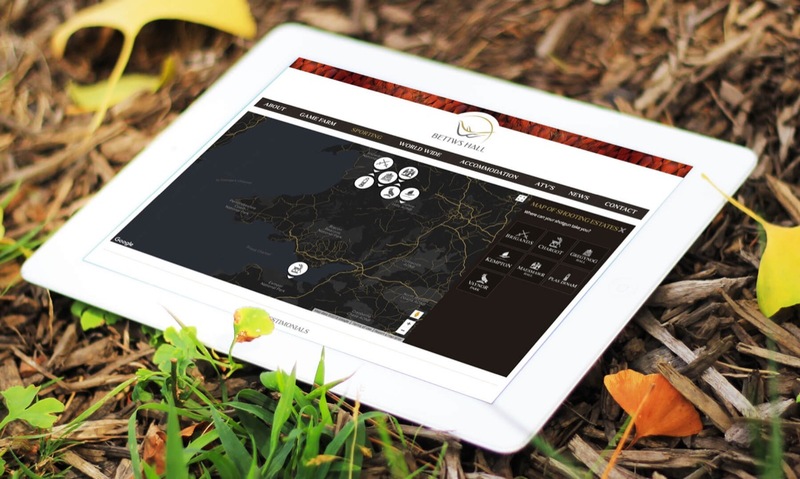 To take a look at the website created by greensplash and to discover more about Bettws Hall and its outstanding game shooting estates across the world, please visit http://www.bettwshall.com.